It’s time once again for the Anime Research Society to explore the depths of anime – the good, the bad, the absolutely insane. Join them as they take a look at some of the best and worst of the season and some recommendations to lead you on your research journey. 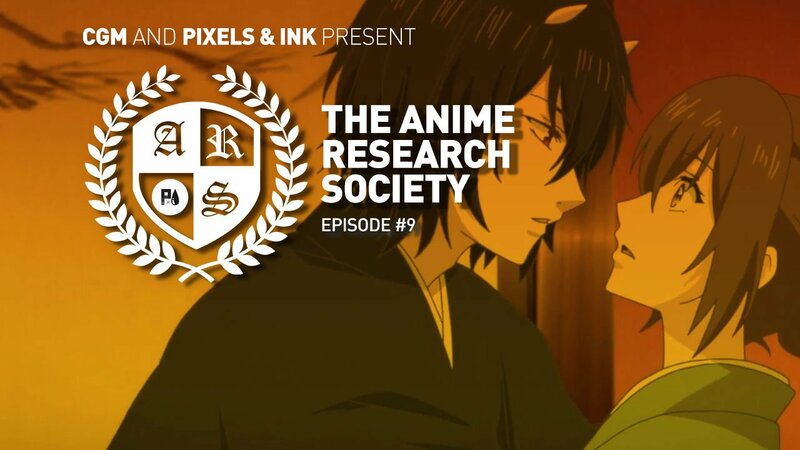 This week on the Anime Research Society, Cole, Remington, Preston and Lisa take a look at the first 3 episodes of Kakuriyo: Bed and Breakfast for Spirits and Magical Girl Ore. Despite the team’s pleas for forgiveness their cries have fallen on the deaf ears of Lisa Mior and her next set of nominations. Is there any quality material to be found here, or are these two anime frontrunners for worst of the Spring season? Lastly, the team recommend a few of their favourite series to check out, and Lisa puts a new spin on everyone’s favourite closing segment. The Anime Research Society is available every Wednesday. Tune in and don’t miss a minute of the fun! Don’t forget to tune in every Friday to the Pixels & Ink Podcast to hear the latest news, previews, and in-depth game discussions! Want to read more about some of the games we talked about today? Find reviews for those and a whole lot more, here! Want to see more videos? Subscribe to our YouTube channel and check out past episodes of the Pixels & Ink Podcast, as well as the First 15: Monster Hunter World Beta: the Insatiable Nergigante, Dissidia Final Fantasy NT, Star Wars Battlefront II, Sonic Forces + Episode Shadow, and Super Mario Odyssey!